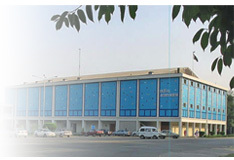 The Journal of Media Studies (Print ISSN 1812-7592; Online ISSN 2309-9577) is an interdisciplinary, bi-annual and blind reviewed publication available online (http://pu.edu.pk/home/journal/41) and in print. Institute of Communication Studies, University of the Punjab, Lahore, Pakistan is regularly publishing this journal since 2010. JMS is addressed to the national and international scholarly community; it seeks to reflect a variety of intellectual traditions in the communication field in order to promote a debate and dialogue among them. Journal of Media Studies is recognized with HEC in Z category. JMS accepts research papers, critical essays, thesis abstracts, book reviews, and opinion pieces--related to communication from throughout the world. In the pursuit of this objective we encourage empirical, theoretical and methodological research papers which can contribute to the advancement of communication studies as an interdisciplinary field. JMS firmly believes in the cumulativenature of productive knowledge. Hence, we especially encourage research papers based on systematic reviews, meta-analysis and synthesis from diverse sources. JMS also focuses on indigenizing communication knowledge so papers in Urdu language are also accepted with an abstract in English. Media and Political Economy etc. Special consideration will be given to research which is relevant to Pakistani society, its development needs and directions, culture and its context. However, submissions on other international issues are also welcomed. The journal follows double blind review policy. Articles are sent to referees (national and international) while other submissions (invited papers, book reviews and commentaries) will be reviewed by the editorial board. Note: The Editor/Advisory Board reserves the right to make necessary editorial revisions. Opinions expressed in articles are those of the contributors and should not be attributed to the Institute, the Editor or Editorial Board in any way.